How To Recover Fast From Ligament Injury? 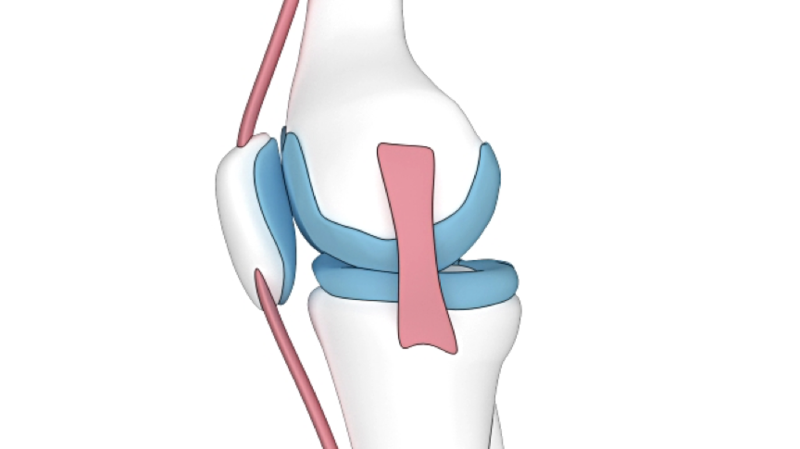 Ligaments are the fibrous band that connects one bone to another around a particular joint. A form of connective tissue we can say, and they are fibrous in structure but a little bit elastic too. So when mild stretch is applied, it can return to its original position holding the joint firmly. Hence they are meant for control mobility and they stabilize the joint otherwise. But if the ligaments are stretched beyond a particular limit, they fail to return to their normal position leading to torn ligaments. Rupture or tear in ligament is usually called as a sprain. Athletic activities are the most common reason for ligament injury, it can be any sports activities involving sudden impact or landing where body is forced out of its normal position. Though ligaments may get injured in vehicular accidents or with general wear and tear also. It may occur when a person falls and the joint is twisted or with landing awkwardly. What Happens When Ligaments Are Damaged? After a trauma, most commonly in contact sports like football, boxing, gymnastics, karate, volleyball, etc., where sudden impacts are common and sometimes joints are twisted, following symptoms indicates a sprain. With chronic instability the individual may have difficulty in walking or running on uneven surfaces or may fall frequently. Do Ligaments Heal Completely And Naturally? Healing depends on the severity. With mild damage recovery time is short and with more damage, it is generally long. But with complete tear surgery is required to get back the joint stability. Ligament healing is usually slow and sometimes if the damage is more, it is incomplete. Joint instability caused by ligament injury improves gradually after 6 weeks to a year. In most of the patients, instability remains even after a year. If you damaged your ligament less severely or with mild tear as with just a mild twist, it heals with proper care and treatment. If the damage is moderate, injured part forms scar tissue that is less elastic, so back to normal elasticity is not possible. But still movements are near to normal and stability could be achieved by proper strengthening exercises. And with the complete tear, surgery is required for reattachment. As ligaments do not grow back, they can only be repaired. While exercises are performed for muscle strength, it stimulates the ligaments also to become stronger and to grow in thickness. But as already discussed, ligaments do have poor blood supply. So they are metabolically less active than the muscle. Hence it takes time to increase its strength with regular training. Controlled early resumption of activity can stimulate repair and restoration of function. Rest: Resting the injured part will help in healing faster, if rest is not given and movements are done even after, it damages the injured area further. Ice: Ice application is mandatory to such injuries, as it decreases the swelling and inflammation. Compression: Apply compression bandage to the injured area, it supports the joint and reduces the swelling as well. Elevation: Raising the injured area will assist in draining the swelling faster, thus reducing pain. Healing of ligaments usually takes longer than the bone healing. This is because bones have plenty of blood supply. so all the minerals and nutrients necessary for healing are in profuse supply. Where as in ligaments blood supply is poor, so healing is poor and it takes long time to heal. Sometimes healing doesn’t occur at all, if tear is complete. Researches show that to support the adaptive strength and size of muscles with resistance training (strengthening exercises), tensile strength of tendons and ligaments also improves. Eccentric resistance training improves strength of ligaments more rapidly. Eccentric training is lengthening a muscle under load. Immediately after injury, rest should be given to the part for a week or so. As the swelling subsides, gradual movements with care should be started to maintain the joint mobility. Later on strengthening exercises are to be performed. In case of sports person, rest is not possible. Joint is stabilized with the brace and guarded movements are carried out. Most commonly injured ligaments are that of ankle and knee. So with reference to this, treatment plan will follow a period of rest as discussed earlier. Followed by gradual movements of knee (knee bending and straightening). Can Chest Physiotherapy Be Given To Restless Patients? Chest Physiotherapy is an umbrella term that covers cardiovascular and pulmonary physiotherapy in patients of all ages and with different conditions. The conditions might include lung diseases, cardiovascular, post-malignancy, post-surgical conditions, long term bed-ridden patients, neurological conditions, etc. Our respiratory system consists of Lungs and respiratory tracts. Respiratory tracts are lined by epithelium on which cilium are present. Cilia is a hair shaped structure, and normally mucus are produced by the epithelium to protect the tract from infection. So all the pathogens, microorganisms and dust particles entering the tract are trapped in this mucus layer and removed out through cilia. To maintain good respiratory health, it is necessary for one to have efficient clearing of secretions from the airway. Mucus are produced by epithelium lining of the tract. These mucus provides movements to cilia that keep continuously beating and pushing mucus upwards towards mouth. That is, this system works as an Escalator that drives one way movement. The mucus or secretions driven towards throat are coughed up and removed. In such conditions chest physiotherapy are recommended. This is a technique with an idea to use gravity to drain mucus from lungs or airways by assuming various positions. The main aim of postural drainage is to move mucus to central airway from where it is removed by coughing or suctioning. These are manual techniques by therapist with hands, mainly to break down mucus from lung wall and to allow the secretions to move till central airways from where it can be removed. They are breathing techniques done actively to remove mucus from airway. This includes active breathing, holding breath and then forcefully exhaling. Deep breathing exercises along with goal oriented breathing to expand the lungs fully. Chest physiotherapy are the techniques done by physiotherapists to mobilise secretions from the lung and assist removal of secretions from respiratory tract. lt is performed in critically ill patients with excess secretions hindring lung functions. It helps in removing secretion and allow more oxygen to reach the lungs.so patients can breathe more effectively. It prevents infection that might occur by secretion accumulation . Chest physiotherapy(CPT) techniques vary according to the condition of the patients as ranging from those in intensive care unit being critically ill to those with prolong illness. So after proper diagnosis, examination and detailed investigation treatment protocols are planned accordingly. Different positions are given according to the lobes of lungs to be drained. These positions are to be maintained for 5-10 mins so that gravity will assist drainage. With the help of techniques like percussion, vibrations, shaking, coughing and cough stimulation secretions are loosened and effective drainage is achieved. If active coughing is possible patient is asked to do that to remove secretions and if active coughing is not possible, mechanical suctioning are performed. With all these techniques secretions are drained. Better results are achieved if CPT is given after nebulisers. So for a patient in ICU, chest pt begins with postural drainage where positions are changed from side to side and if patient is unconscious so that gravity will assist in removal of secretions. Postural drainage is actually not a technique but it’s just a position given so that gravity will assist drainage and hence clearing airway secretion. Can we give chest physiotherapy in unstable patients? If a patient is admitted in ICU and is critically ill, with lots of secretions to be drained, the doctor advises chest physiotherapy. If the patient is unstable and restless how to give percussion techniques is a big question. We cannot give percussions, shaking, vibrations in restless as well as unstable patients as all these techniques will worsen their situation. All such techniques are usually very tiring. If the patient is restless or unstable we have to depend only on postural drainage. Patient’s position are changed from supine to side lying on both sides one by one and these positions are maintained for 10 -15 min. These positioning helps in clearing the airway and lungs with the help of gravity. Then with the help of mechanical suctioning secretions are removed. If patient can cough, he is asked to do coughing to remove secretions. After a session of these treatments relaxed breathing is taught. Diaphragmatic breathing along with other breathing exercises are to be done to enhance chest expansion . Spirometer can be used to give objective goal each day and hence improvement can be achieved day by day. Patient mobility also plays an important role in better lung function. Standing, walking and cycling are to be done stepwise as the conditions improves. Home exercises program. includes cycling , cardio vascular training are very useful and advisable. So chest physiotherapy forms an important part of an ICU care. In kids due to infection large amount of secretions builds up that affects the breathing pattern. Chest Physiotherapy should be given to clear the tract to prevent further infection. It should be given twice or thrice daily for effective removal. It should be done early in morning or at bedtime. Is Yoga For Weight Loss? – The Real Truth! Yoga has always been linked to weight loss and this attribution is the only thing which pulls many of us to yoga mat. Now if we consider the scientific facts about yoga, it goes on the opposite side. So, is Yoga a real Fat Loss thing? Yoga means to unite body and mind, where traditional yoga includes mostly seated postures and some of standing one. Even meditation is one form of yoga to attain higher level of consciousness and to awaken one’s chakras. However, It is mistakenly taken as mere physical exercise defined with specific postures, inclined towards methods to lose weight. Now you might have joined yoga classes and you are at this very moment are already overwhelmed by the exercises that are taught there. You might have lost some pounds after joining the Yoga Centre too, and you have started assuming that yoga is actually for weight loss, don’t you? You might have read or watched many celebs modern Yoga Videos claiming to be the best thing for weight loss. But is it true? Modern yoga is totally different from traditional or in other words, just the makeover of Yoga for newer gen, as they say. And thanks to the boom of Social Media and marketing gimmicks, Yoga is more sort of commercialized. Already many modifications are done in traditional yoga according to the purpose where it is being taught from Fitness Club to Gyms, from Offices to dance classes, etc. And with this so called “modernization” of yoga, seriousness of practicing traditional yoga and its important is lost. The real Yoga is meant to purify Mind, Body and Spirit, and not to lose weight! There are different sorts of yoga which includes Power Yoga, Aerial Yoga, Aqua yoga, and many more, but these are not the original form of yoga but modifications of it. Traditional yoga is not for weight loss purpose. It combines physical, spiritual and mental practices along with breathing techniques, exercises and meditation. It’s actual purpose is to unite body with soul, with meditation. How Yoga Helps In Putting Down Weight – Indirectly? With increasing health consciousness among people yoga is achieving greater interest and priority. Sedentary lifestyle, 24×7 running for Jobs, fast foods, stress, sleeplessness are some of the factors leading to poor health. So to understand how Yoga helps in weight loss as presented by various so called Yoga Classic Institutions, let’s understand how it works? Researches have shown that the main reason behind obesity is poor eating habits. Nowadays poor eating habits are commonly due to stress. Stress affects the body by increasing the level of “stress hormones” which is known as cortisol hormone. It increases the level of insulin in body which ultimately drops blood sugar level. So you crave for sugary, fatty foods that in result leads to overeating and intake of unhealthy foods. With these dietary habits and absence of physical activity or exercise you put on weight rapidly. That is the main cause of weight gain and obesity. But obvious that with lifestyle changes and proper diet you can lose weight. Yoga involves physical activity that stretches your body. It relaxes your body and has a deeply calming effect on the whole system. It gives relaxation to your mind. With continuous breathing activity involved in Yoga, it helps to reduce stress. Yoga connects mind with body so it provides complete harmony between the two. Emotional energies built up by stress are released after practicing yoga. So when your body and mind are completely stress free, they work normally with all normal metabolism. When your inner body is functioning normally and you do exercises of any sort (not just the Yoga) you are going to reduce weight more efficiently. So it’s not Yoga that is helping you to weight loss, but your stress free mind and proper physical system (of course gained by Yoga or any other physical or mental exercise) is making you lose weight. Along with strenuous exercises diet regime holds an important position in weight loss program. So if you are doing all such strenuous exercises all days a week but not following diet, it won’t make any difference other than toning your body. You can lose weight even when you don’t do Yoga. All you need to do is to have relaxed mind and proper diet. Yoga should not be taken as weight loss program but it should be combined with your weight loss program to make that more effective. You need to understand that Yoga and Aerobics are different form of activities. You can combine them to achieve your fitness target/goal but you cannot address that as Yoga. Note: It is also important to understand that all exercises are not for everyone. It should be done under proper supervision. So whether you are doing Yoga for fitness program or for flexibility it should be done correctly or else it’s not worth doing it. Consult your Yoga Masters to understand Real Yoga in much better way!